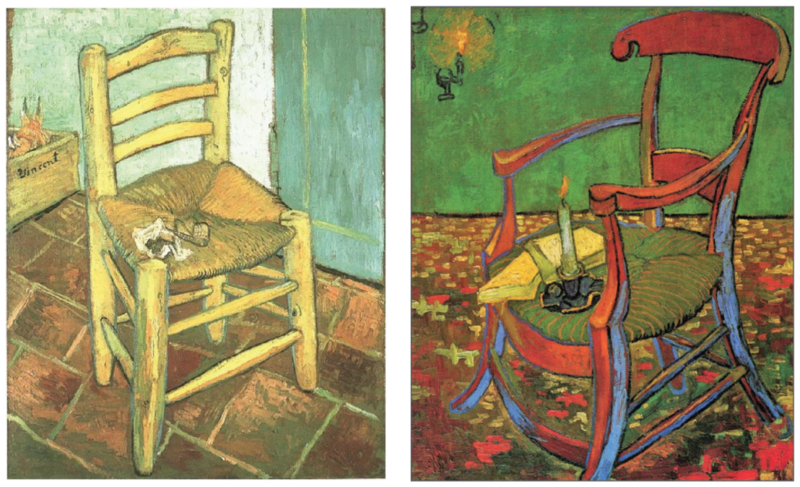 Van Gogh painted several, and if you Google “paintings of chairs” you will find an extensive collection of them by a variety of artists and mediums. Seems a mundane theme—painting or drawing a chair? However, one of the unique things about an artist’s eye is seeing the beauty in even the most innocuous subject. Vincent Van Gogh was fascinated enough by them to paint his chair with his pipe on the seat, and he even painted his good friend Gauguin’s chair with a candle and some books on the seat. And if you are still not convinced, think about how Jesus is described at this very moment in the Apostle’s Creed, the oldest Christian creed—“sitting at the right hand of God the Father Almighty”…sitting. Each month we have two “drawing nites” planned into our event calendar. This spring we have been drawing/painting the theme of chairs, and people sitting in chairs. At summer’s end, we will gather the best works from the artists who attend our drawing nites and exhibit them in the hallway gallery we curate—called the Courtroom Gallery. The reception for the show will include an interactive element—stay tuned for more info! The graph below shows the percentage of current support we have.